I understand that on May 11 Christie's were asked direct questions about three specific lots in their forthcoming June sale of antiquities. 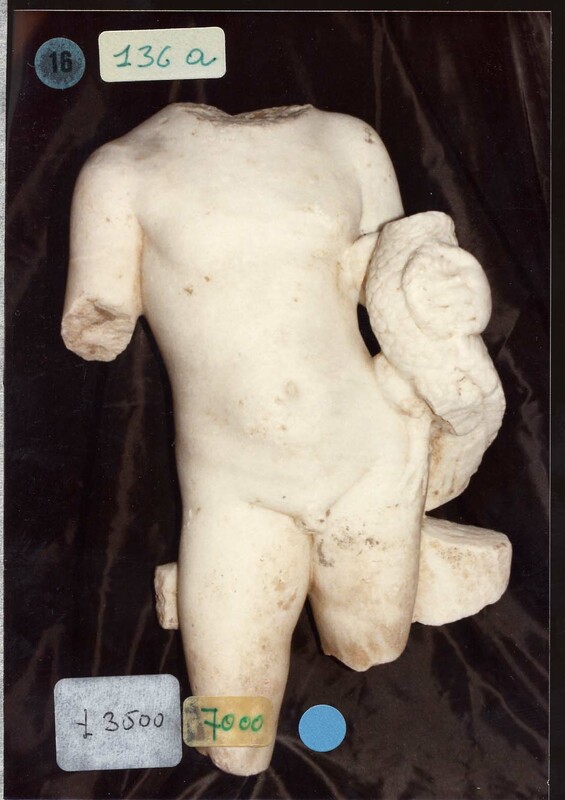 The reason is that an Apulian rhyton, a Canosan terracotta and a marble statue of a youth with a cockerel appeared to be close to three objects that appeared in the Medici Dossier. A comment on the sale appear in the Dutch press on May 15 [detail though one lot number has been revised]. Attention to the same three pieces was given in the New York press on May 25. In 2009 a spokesperson for Christie's described two separate antiquities as "stolen". Indeed attention was drawn to "the transparency of the public auction system" that had allowed the "identification" to be made. The posting of public images for the sale of antiquities encourages scrutiny. And scrutiny has raised an issue, or to be more precise three issues, for the June 2010 sale. Possible identifications have been flagged up. And the dilemma is plain. Does Christie's reject the possibility that the three pieces could be the ones featured in the images from the Medici Dossier? Does Christie's ignore the issue and press ahead regardless? Does Christie's follow the lead of Bonham's in London and withdraw the pieces from sale? One further option would be to release the full collecting histories (or "provenances") for the three lots for the period from (or before) 1970 to 1984 (lot 112), 1992 (lot 139), and 1994 (lot 104).